The third largest coal ash spill in U.S. history occurred early in February 2014 when a Duke Energy coal ash pit in North Carolina breached and released up to 27 million gallons of polluted water and over 82,000 tons of ash. Unfortunately, environmental catastrophes such as this are becoming more frequent, and people in Illinois are paying close attention. According to the U.S. EPA, your chance of getting cancer from water contaminated by coal ash is 1 in 50! The Illinois EPA has proposed rules to the Illinois Pollution Control Board (IPCB) to address coal ash pits at power plant sites. The proposed rules are a good start but they need to be improved. We need YOU to come testify and tell IPCB members how important it is to you that they adopt strong rules. Do you need help drafting your testimony? You’ll find both reports, fact sheets and talking points below. Illinois At Risk: Lax safeguards and no enforcement endanger the water, air & lives of residents near coal ash dumps. 2011. Prairie Rivers Network and Environmental Integrity Project. Coal Ash: The Toxic Threat to Our Health and Environment. 2010. Physicians for Social Responsibility and EarthJustice. 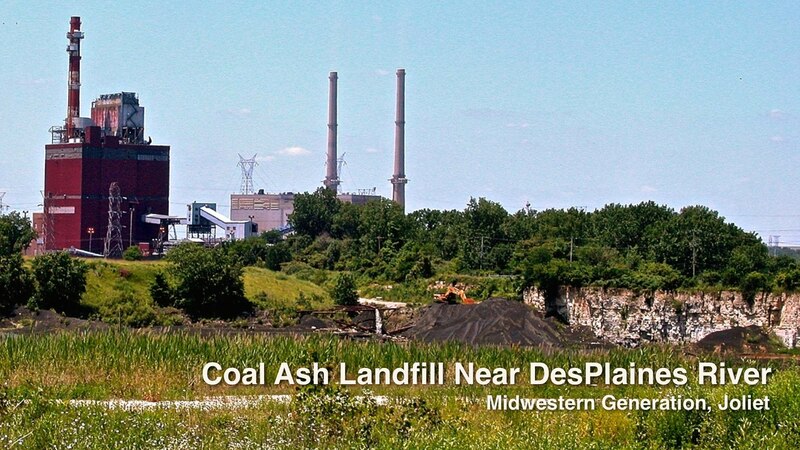 Opportunities to better protect oursevles from coal ash pollution in Illinois don’t happen often. Please participate in the process.